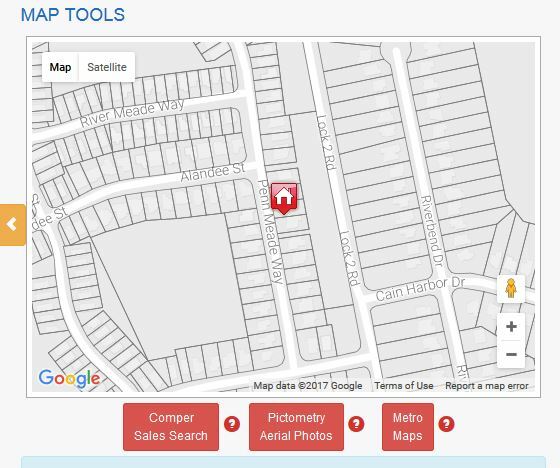 Pictometry is the name of a patented aerial image capture process that produces imagery showing the fronts and sides of buildings and locations on the ground. Low-flying airplanes capture images, which depict up to 12 oblique perspectives (shot from a 40-degree angle), as well as an orthogonal (overhead) view of every location flown. 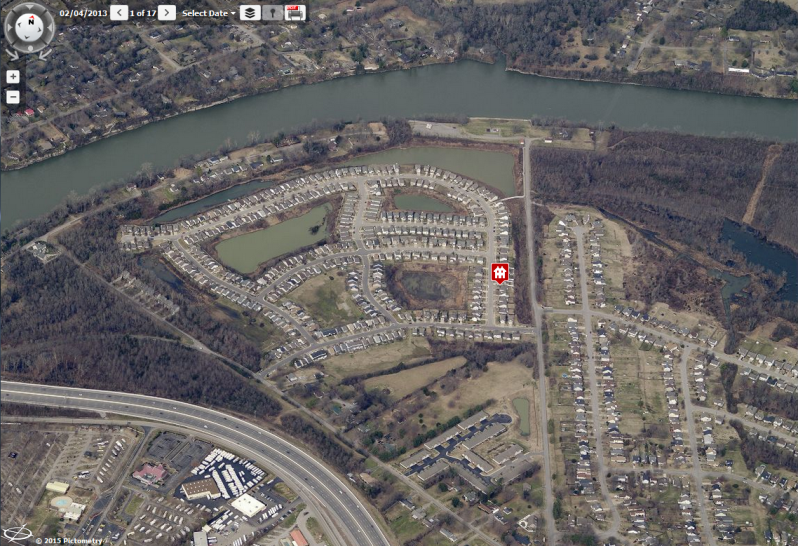 These perspectives can then be stitched together to create composite aerial maps that seamlessly span many miles of terrain. Because they are taken from an angle, the pixels associated with Pictometry images are trapezoidal, rather than rectangular. 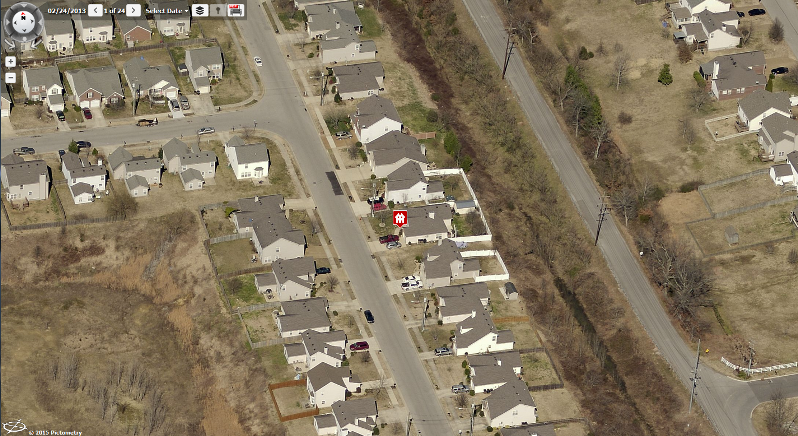 This necessitates special software and algorithms to accurately determine objects’ size and position on the maps. 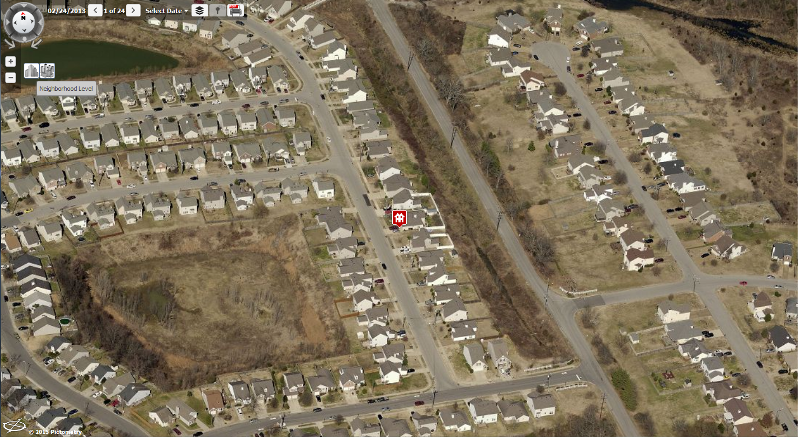 This will take you to the Pictometry site with the selected property centered on the page. You can zoom in and out of the image by using the +/- buttons in the upper left of the page or by using your mouse wheel. displays the “Neighborhood Level” view. displays the “Community Level” view. In the upper left corner of the page, you will notice a compass. Notice the arrows surrounding the compass pointing inward. To the right of the compass is a date followed by < # of # >, which tells you the date the images were taken, how many were taken that day, and allows you to scroll through the images. Next, you will notice a year drop-down field. 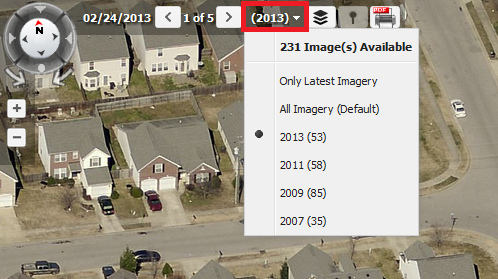 Clicking this field will display a list of years that photos were taken and the number of photos taken each year. You may select between; the year for the images you wish to view, all imagery available, or only the latest imagery. The next icon will allow you to add layers to the image. Such as streets and place names, contours, and US parcels. The next button is not currently available. The final button allows you to save a PDF file of the photos currently displayed.